A birthday is one of the most important and momentous occasion in our lives that are not to be understated. One of the best things about living in Klang Valley is the plethora of choices to wine and dine in. 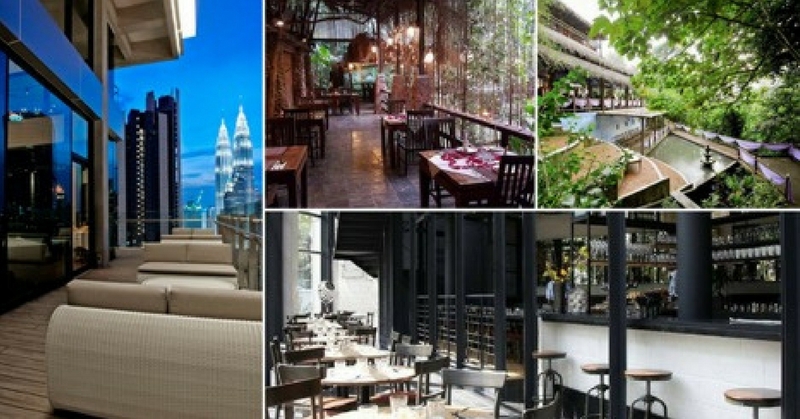 Our selections below are some of Klang Valley’s most popular restaurant for birthday celebration from the downright luxurious to the casual with views – not only for their excellent food, but also their great interior and friendly atmosphere with great service. You can experience to dine in nature in Subak Restaurant. Subak Restaurant is the hidden gem amongst the greens of Bukit Lanian. Subak Restaurant serves authentic Malaysian food to international food such as T-bone steak and lamb shank. Subak using only the finest local and imported ingredients and transforms into delectable masterpiece that will satisfy your cravings. Subak keeps the dynamic Balinese culture that is constantly fusing the old and traditional. The pleasant and refreshing ambience pair up with their great service do provide an unforgettable dining experience. Tanzini has been around for a few years and its still new for the locals. Tanzini inspired by the fresh food movement to advocate a quality approach in presenting its cuisine to visitors. Tanzini is located on the 28th floor of G Tower that serves a modern European cuisine with its base rooted firmly in the rich and hearty food of the Italian home kitchen. Their menu is seasonal and changes twice a month. Acme Bar and Coffee is located on the ground floor of Troika. “Acme” means best in Greek. It is a stylish café with the concept of chic yet casual and its sophisticated interior. Acme promises to provide only th best ingredients and high-quality food to diners. There are also seasonal items on the menu to bring different dishes to the diners. From Asian flavors to western cuisine, each and every of them caught the heart of diners. It is a great place to spend special occasions especially birthday. Which restaurant here tickles your fancy?